Need a way to eliminate the termites from your property? We've got the information you need, right here. Delta Dust ranks at the top of our list of termite killers because it brings results, period. In addition to killing the termites you may have lurking around your yard or crawling through your trees, Delta Dust takes out a variety of other pests that can be found around the average person's home, and even some uncommon types of bugs as well. This dust contains the active ingredient called Deltamethrin, which is a derivative of a flower found in nature. When the dust is lightly puffed through the air, it attacks the nerve cells of any insects which come into contact with it, shutting down their nervous systems and leading to death. 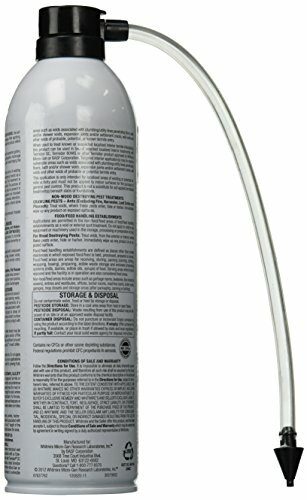 What we love about this product is its versatility: it can be pumped into the soil, puffed into stuffy attics, or even used around (thoroughly sealed!) utensils in the kitchen. We've reviewed a few other termite killers below, so if you've a got few moments, take a look to see how Delta Dust compares to the competition. Are Termite Treatment Chemicals Safe? Do It Yourself Termite Control: Good or Bad? When Should You Invest in a Termite Treatment? In our list, we strive to bring you a variety of all three. However, don't miss out on one of our other guides on termite Sprays. It's common to question whether or not the chemical that promises to zap the life right out of the bug you want to kill is going to do the same to your kids, your pets, and even yourself. There are a few different types of chemicals out there which are used as active ingredients to target termites, and a few of the most widely-recognized come from the same derivative in nature: the chrysanthemum flower. The "big-name" insecticides (Bifenthrin, Permethrin, Fipronil, Imidacloprid) all work in the same way: by attacking the insect's nerve cells, the pest's central nervous system begins to fail and shut down, leading to death. For this same reaction to occur in a body larger than an insect's, the exposure would have to be replicated several hundred thousand times over. This means that unless your pets and kids get into a spilled supply of pesticides, they should be perfectly safe around a residual amount. Most termite chemicals for sale will list on the label whether or not the product is suitable for use in the home, and we recommend to take extreme caution. If you're mixing a termite spray with water yourself, always dilute it a little heavier than you normally would for outdoor use when planning to use indoors. In addition, air out the house with doors and windows open to allow fumes to make their way outside, and for any wet solution to dry before allowing kids or pets back inside. Pesticides and insecticides are largely considered safe for the environment and for consumers to purchase and use in the United States. However, there are restrictions in certain states on the sale and use of some (but not all) pesticides. For more information on your specific state as well as more guidelines on any specific insecticide you may have on your mind, please visit the Environmental Protection Agency's page all about pesticide. We live in such a DIY-heavy culture--what's the problem with taking out the termites by ourselves? Keep reading for what you should (and should NOT) do if you're going to attempt to use a homemade termite killer. Normally speaking, we'd advise that you try an Integrated Pest Management (IPM) approach to solving your pest problem. An IPM is simple: it basically breaks down to common-sense tactics like removing food sources, sealing any broken barriers pests can use as entryways, and take out the pest's "home-base." Check out the video below for some useful tips on how to take stock on every inch of your property and protect against termite infestations (not to mention other types of pests, as well). However, when you're dealing with hundreds of thousands of termites (let's be honest--probably at least one million per colony), the stakes become much higher. You need to take more drastic action, and at a much faster pace than simply cutting down a few trees and waiting around to see if the termites magically vacate the premises. If you see the signs of termites already in your home, you may have a problem which needs to be handled by a trained professional. Some of the warning signs of termites include sand-colored tubes along the walls of your home as well as choppy-looking tubes made in furniture or wooden entry points. While calling an exterminator will pack a punch in your wallet, it's best to think of the big picture. Termites are the ultimate cause of destruction in a person's home, and oftentimes, the damage caused by termites aren't covered by homeowner's insurance. We recommend using our local exterminator tool to find a qualified professional. Oftentimes, they can live in your wooden structures for years—crawling right through your walls!—without you noticing. Dr. Jim Fredericks, Chief Entomologist of the National Pest Management Association, lists a few of the telltale signs of a termite infestation in the video below. Once you notice these red flags, it's time to take action to protect your home. These signals pop up once a colony has already formed, which means that you'll be seriously outnumbered from the very beginning. Delta Dust is an all-around winner: it packs a punch in terms of affordability, accessibility, ease of use, and resourcefulness. This product is used mostly in uninhabited spaces like attics and crawl spaces, but can also be used in high-traffic areas as well (provided that the user follows all safety guidelines). The dust works by stopping a pest's nervous system on contact, leading to death. Only a small bit of dust is required to do the trick, meaning that there won't be a white, dusty residue tracked through your home in order to control your termite problem. What sets this product apart from the rest on the list is that it's a foaming agent termiticide. The instructions of a foaming termite killer state that the product is only to be used in voids such as within walls, beneath tubs, and beneath floorboards. Basically, anywhere that termites can scuttle around and can be sealed up later (away from kids and pets) is prime real estate for Termidor Foam. So if you're wondering how to get rid of termites in walls, this is the ideal product for you. This concentrate is ideal to use outside when you're looking for a preventative termite control methods. One gallon of the solution mixed with water can treat up to 52 feet of trenches for termites, as well as a coverage area of 42,000 square feet of home-infesting pests. One thing to watch out for: because this is a liquid concentrate, you'll need to use a spray nozzle to administer the treatment. Bifen I/T is one of the top contenders for termite treatment products, and for good reason: it just works. 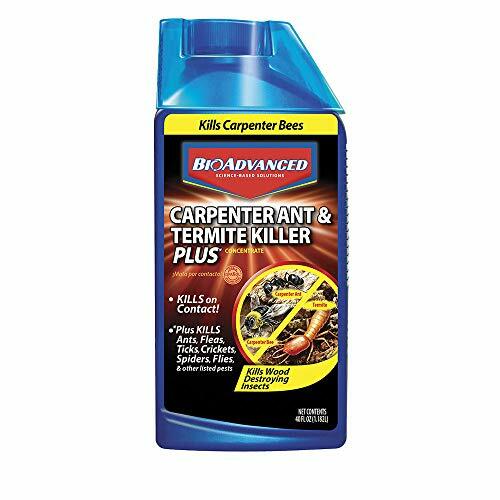 This termiticide spray is formulated from Bifenthrin, a member of the pyrethroid family. These are the chemical derivatives which comes from chrysanthemums flowers, which can shut down an insect's nervous system but pose no threat to humans. 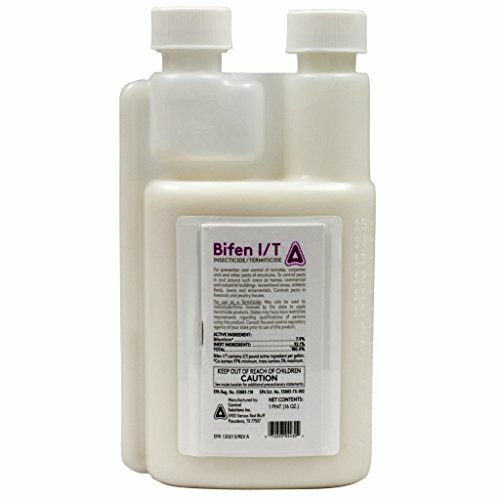 We highly recommend Bifen I/T because it consistently delivers stellar results without a spike in price--just what you want if you realize you've got a termite problem brewing outside. 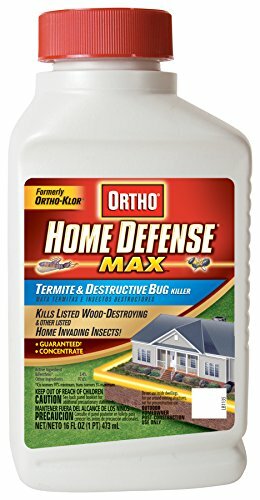 Ortho Home Defense MAX has developed this formula to create a barrier between your home and termites, and guarantees 5-year protection around treated areas. With the active ingredient Bifenthrin (the same present in Bifen I/T, yet at a smaller percentage in this product), Ortho has created this insecticide which works as a sort of two-in-one product: a termite killer at first, and a termite treatment for years to come. This is a huge plus for us. We love the buy-one-get-one-free factor of having two products in one, especially when it comes to something that's just a few clicks away. Not available in MA, NY, and RI as per state regulations. This product feels more like a garage staple than a special purchase for a termite problem. The dust doesn't stop at termites--it kills just about any other household pest you can think of as well. Curious about other termite related products? Check out our other detailed guides to help you deal with your pest problems.